On Saturday 22nd June at 7.00am at Carlisle Castle in Cumbria tireless charity worker and fundraiser Luke and his good friend Alick Forrester commenced battle against 500 competitors in the country’s most iconic ultra marathon – “The Wall” a 69 mile race along Hadrian’s Wall, spanning the width of the country from Carlisle to Newcastle, organised by adventure sports company ‘Rat Race’. 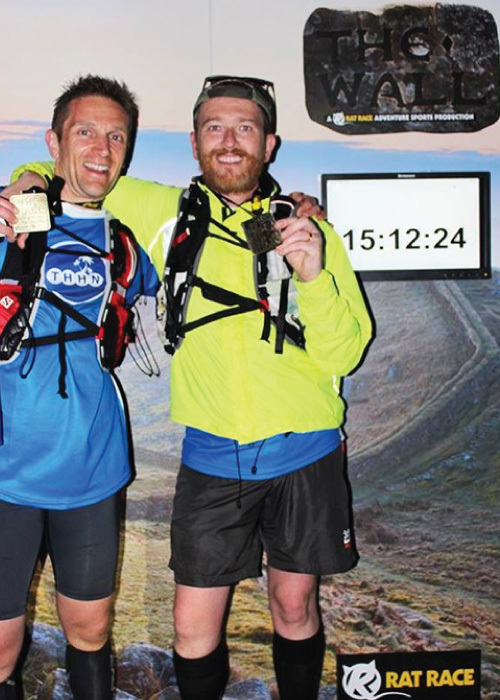 The pair shared the agony of relentless terrain and biblical rain showers followed by sharing the ecstasy of crossing the gruelling races finishing line just before total daylight was lost at 10.12pm, completing the course in 15 hours 12 minutes, placing 131st out of 500 expert runners. The race was won by a female competitor – 26 year old Sonia Bracegirddle from New Zealand, who romped home in a mind boggling time of 10 hours 53 minutes. 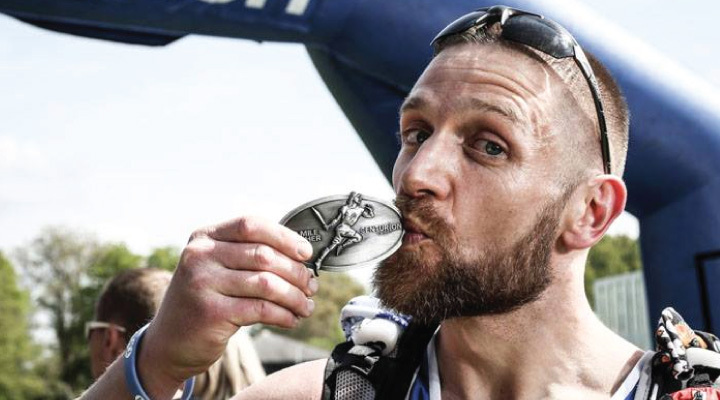 Luke said of the race “It is without question the hardest thing I have ever done in my life, after 17 miles an old calf injury reared its ugly head and I struggled with it for the remaining 52 miles. After 40 miles my mind and body was constantly telling me the easiest thing to do is simply stop, but you have to dig deep and battle your demons to continue”. He went on “At 60 miles in I became very emotional and really thought I was done, but after a very tearful phone call with my wife Suzanne and speaking with my children I found a new lease of energy and they really did carry me to the finish line!”. He continued “I could never had finished this run without the love and support from my amazing family, not to mention my incredible running buddy Alick whom I shared this epic and most incredible journey with, an experience I will never forget!”. Luke’s running partner Alick Forrester an art dealer from London said “My body is in ruins after running for 15 hours! Luke and the support from his amazing parents who acted as a support crew for us really pulled me through! It was the most incredible experience of my life but I know the pain I felt was nothing compared to that of the families THHN helps so knowing I had raised over £2,000 really helped pull me to the finish line too”. Earlier this year Luke completed the 2013 London Marathon in 3 hours 31 minutes, finishing 5,011th out of 36,000 runners. Luke said “The bungalow project is by far our biggest project to date and I did not want to sit back and just wait for other people to raise the money for us. So as this is our biggest project I needed to take on a challenge to match and felt that running 108 miles over 3 races was a worthy one.” Since Luke founded the charity in 2009 they have helped over 330 families who are living nightmares to have free holidays on the English Riviera and other destinations across the country and have even provided holidays in France.